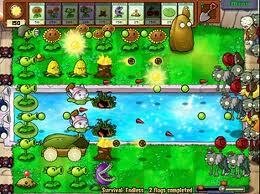 Are you familiar with the video game Plants vs. Zombies? Ok, I’m not a true “gamer” (really!) but this little fantasy world has got me hooked! Killing zombies who are trying to invade my house and eat my brains is my new, fun way to unwind. The humor and creativity of, what has now become for me, a daily must is downright addictive and I totally recommend it! And it’s actually had a nice little side-effect in the way of abundance. 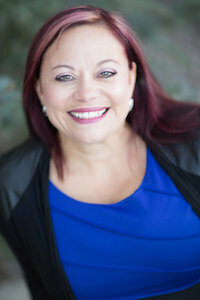 It’s helped me activate my money mojo in an unexpected and engaging way! One feature of the game includes a “Zen Garden” where you can purchase little zombie-defeating plants and nurture them in your greenhouse. And do those little things ever produce! Literally! After a very short time of watering, fertilizing and playing Mozart for them, they start popping out coins– Silver coins & gold coins galore! 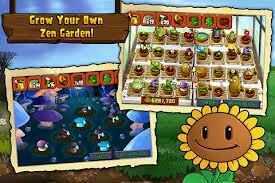 Invest in the seedlings, plant & care for them and they quickly grow into effortless little money machines! It’s a blast to click on the coins to collect them as they “Ka-ching” onto the screen! Most times I have to employ Stinky, my gardenhouse snail, to help me gather the money because I can’t keep up! (I bribe him with chocolate which makes him zippy!). Ok, maybe by now you’ve decided I’ve gone off the deep end and are hovering your cursor over the unsubscribe link– But wait! I DO have a point here! So you probably got the little metaphor about planting seeds, nurturing them and reaping the rewards, right? That’s all well and good and great reminder that we actually have to be in action for financial rewards to start “Ka-chinging” in. But there’s another little fun benefit of this game for me. As the coins start popping up furiously and I’m racing around clicking and collecting trying to keep up with all of this income, it’s a fabulous opportunity to practice Afformations. Afformations are a twist on affirmations and instead of trying to trick your mind into accepting the positive (which it will often furiously kick back against), Afformations let you complain and whine and moan about how you’ve got it so good. For example, “I have SO much money I can’t keep up with it all. Where am I going to put it? And how can I possibly spend so much?! It just keeps coming in so fast I don’t know what to do! It’s such an overwhelming problem to have all this money coming at me from all different directions!” Get it?! Since it’s usually easier for us to feel the negative why not have the negative work FOR us! Afformations puts me right in the energy of abundance and gives life to my visualization in a fun, light-hearted way!! So, with or without a Zen Garden shooting thousands of dollars at you, imagine that all the ‘seeds’you’ve planted along the way suddenly blossomed and now you’ve got so much money that you need to hire people to help you handle it! Another problem is that you’ve received so much in such a short amount of time that you hit your savings limits in several accounts and need to find other places to put your money! Wow– how are you ever going to spend it all? Ahh, the problems of a mind that is truly open to creating and receiving!!!! So give it a go (with or without the zombies!) and see how it can put you in the space and energetic place of more money! **Just remember– when the cold hard cash starts rollin’ in, switch to ‘gratituding’ just to be on the safe side!